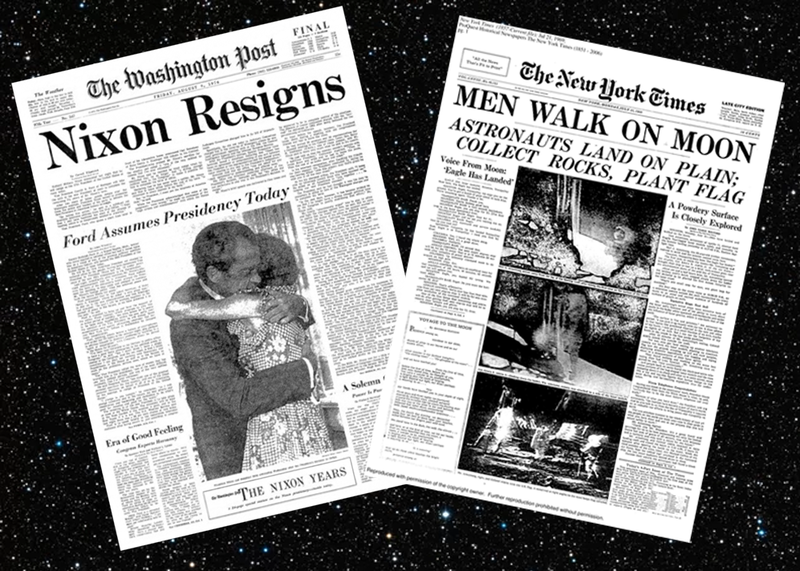 In 1865, Jules Verne wrote the science fiction novel “From the Earth to the Moon and a Trip Around it.” Nearly 105 years later, Michael Collins “lived” what Jules Verne could only imagine. 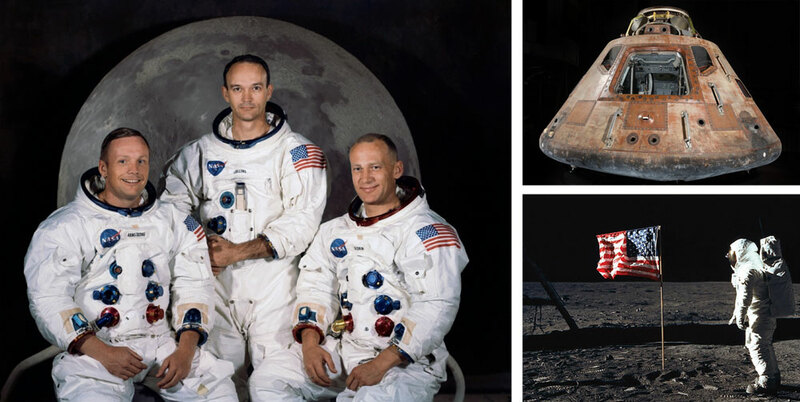 On April 15, 2019, Apollo 11 Astronaut Michael Collins will join moderator Marvin Kalb to discuss the impact of his historic mission on the nation, the world and humankind. 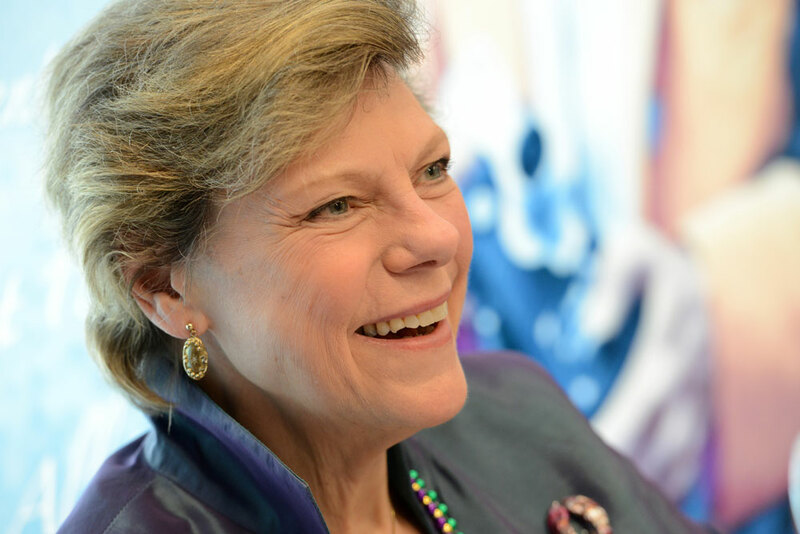 On April 1, 2019, Roberts, who has been a mainstay of NPR since 1978 and ABC News since 1988, will join moderator Marvin Kalb at the National Press Club as part of the 25th anniversary season of the multi-award winning Kalb Report public broadcasting series. How are journalists holding up under withering criticism from this administration -- criticism that has been linked to death threats and physical assaults? How are news organizations responding? Are journalists "raising the bar” in the quality of their reporting or further blurring the lines between fact, speculation and opinion? Legendary journalist Ted Koppel, and media correspondents Brian Stelter of CNN, David Folkenflik of NPR / WBUR and Emily Rooney of WGBH Television in Boston join moderator Marvin Kalb for a conversation on the roles and responsibilities of the press in covering a White House that consistently attempts to undermine its legitimacy. Russia’s meddling in the 2016 U.S. presidential election may be just the tip of the iceberg for a former world power that is dealing with a crumbling economy and diminished reputation on the world stage. With Vladimir Putin’s reelection to another six-year term as president, what is the Russian leader’s end game? 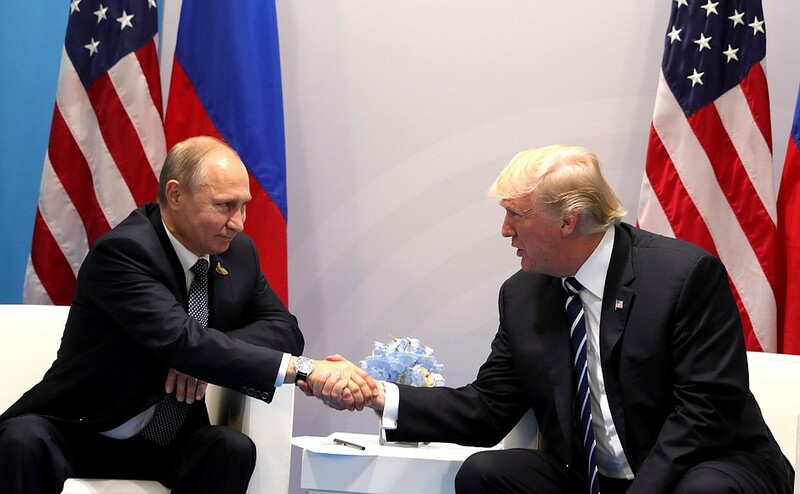 Is Moscow trying to destabilize democracies around the world, including the mid-term elections in the U.S., in order to bolster its own self-importance? And what role is the Trump administration wittingly or unwittingly playing in Putin’s plans. On April 16, 2018, at the National Press Club, New York Times Chief White House Correspondent Peter Baker, Brookings Institution President Gen. John Allen, NPR All Things Considered host Mary Louise Kelly and American Enterprise Institute Scholar Leon Aron will join moderator Marvin Kalb to discuss Russia, Putin and his possible trump card. 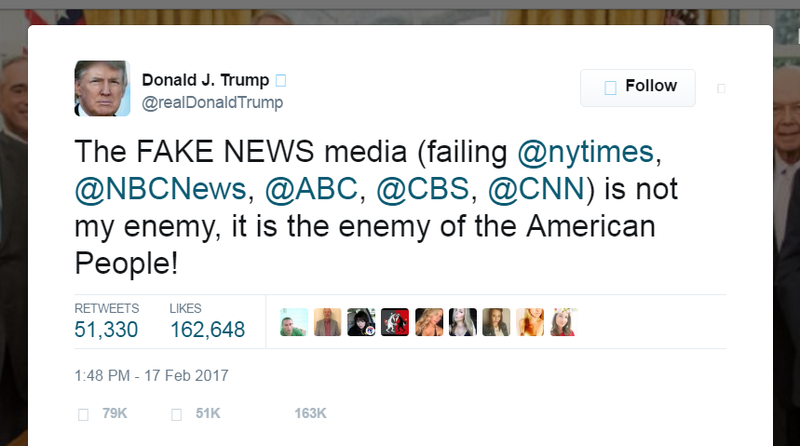 The President of the United States has challenged the legitimacy of journalism. What is his intent and can he succeed? What is the proper response from the journalistic community? Are some news organizations “out to get him” as backers of the president have alleged? Is President Trump actually good for the news business that he routinely assails? While the president has riled up his base by repeatedly accusing venerable news organizations of peddling “fake news” and being “enemies of the American people,” two of nation’s most respected newspapers — The New York Times and The Washington Post — are experiencing record numbers of digital subscriptions. On October 16, at the National Press Club, New York Times Executive Editor Dean Baquet and Washington Post Executive Editor Marty Baron will join moderator Marvin Kalb to discuss the administration’s threats to press freedom and the extraordinary relationship between the president of the United States and the media. On Saturday, April 8, CNN anchor Jake Tapper and Washington Post political reporter David Fahrenthold join Marvin Kalb to discuss coverage of the new administration, the responsibility of the press in a democracy, and life in the crosshairs of Donald Trump’s tweets. 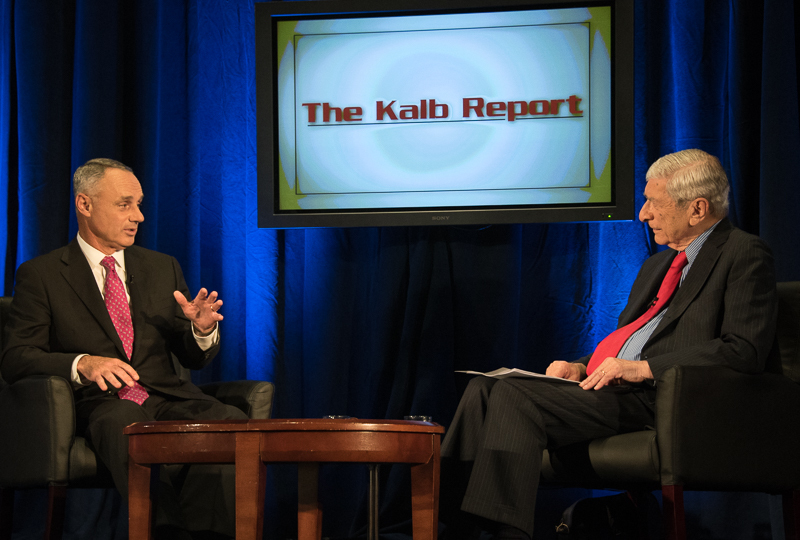 The Kalb Report series is produced jointly by The National Press Club Journalism Institute, the George Washington University School of Media and Public Affairs, Harvard University's Shorenstein Center, University of Maryland University College and the Philip Merrill College of Journalism at the University of Maryland. The series is underwritten by a grant from Ethics and Excellence in Journalism Foundation. 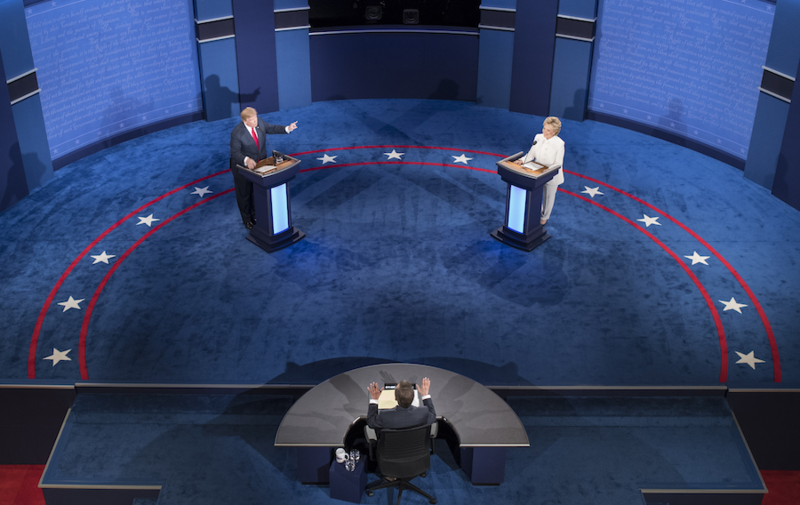 The Commission on Presidential Debates once again brought the candidates together in 2016 to face tough questions on critical issues while providing a level of substance, dignity and decorum to the presidential campaign. On this edition of The Kalb Report, debate moderators Martha Raddatz and Chris Wallace, as well as Commission co-chairs Frank Fahrenkopf and Mike McCurry join Marvin Kalb to review the remarkable 2016 events that rocked America and the world. From his Pulitzer-prize winning biographies John Adams and Truman, to his distinctive narration of Ken Burns’ seminal documentaries “The Civil War” and “Baseball,” David McCullough is perhaps America’s most recognized storyteller. On this special daytime edition of The Kalb Report, moderator Marvin Kalb and McCullough, the renowned author and historian, discuss our founding fathers (and mothers), freedom of the press and the challenges facing our democracy today. 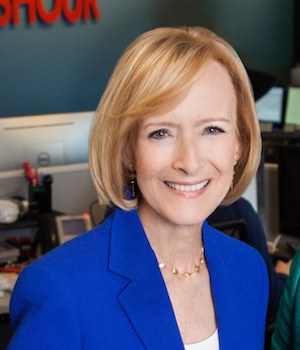 In a distinguished network television career that began with her coverage of Jimmy Carter’s presidential campaign for NBC News, Judy Woodruff has remained at the pinnacle of broadcast journalism for 40 years. 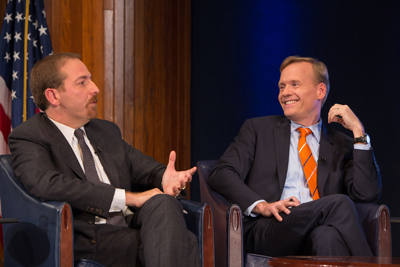 Having served as chief White House correspondent for NBC and PBS, the host of CNN’s Inside Politics, and now co-anchor and managing editor of PBS NewsHour, Woodruff has had a front row seat to world events, as well as some of the most notable campaigns, elections, and political scandals in American history. On this edition of The Kalb Report, moderator Marvin Kalb and Judy Woodruff discuss an American presidential campaign that has defied conventional wisdom, coverage of today’s global news, world press freedom, women in journalism, and the challenges public television faces in a perceived partisan media landscape. On January 25, 2015, Rob Manfred became just the tenth person in history to hold the office of Commissioner of Baseball. In the 22nd season opener of The Kalb Report, legendary journalist and lifetime baseball fan Marvin Kalb explores the beauty, simplicity, complexity, humor and historical significance of our national pastime with the man now charged with overseeing the sport and maintaining its integrity. From Thomas Jefferson, who maintained that "advertisements" were the "most truthful part of a newspaper," to Jimmy Carter, who lamented that his ancestors included "thieves...and journalists," the relationship between our presidents and the press has been a long and tumultuous affair. We live in an age when people "read CNN" and "watch The Wall Street Journal." As venerable news organizations transform themselves to survive and thrive in a digital world, new competitors are attracting huge audiences, unencumbered by old infrastructures and empowered by technology. This dynamic is driving innovation in the way news is gathered, sorted, reported and consumed. Not since Edward R. Murrow invented broadcast news during World War II has the world seen such a dramatic change in journalism. Just as important, Murrow established a standard of quality that has withstood the test of time. On this edition of The Kalb Report, moderator Marvin Kalb explores how today's newsrooms can innovate while maintaining quality. Guests include CNN Senior Vice President and Washington Bureau Chief Sam Feist, BuzzFeed White House Reporter Evan McMorris-Santoro, Jon Sawyer, director of the Pulitzer Center on Crisis Reporting, and Wall Street Journal Deputy Managing Editor Gabriella Stern. Each week, an average of more than 27 million people tune in to National Public Radio (NPR) programming, placing listenership at near-record highs. So, in this digital age, what is the secret to the stunning success of America’s original electronic medium? Join journalist/scholar Marvin Kalb for the next edition of The Kalb Report when NPR icons Steve Inskeep, Mara Liasson, Scott Simon, Susan Stamberg, and Nina Totenberg discuss craft and impact, the art of storytelling, and the magic of radio. On June 17, 1972 a simple botched break-in at the Democratic National Committee Headquarters in Washington, DC captured the attention of two intrepid reporters who uncovered a trail of corruption that led all the way up to our Commander-in-Chief. 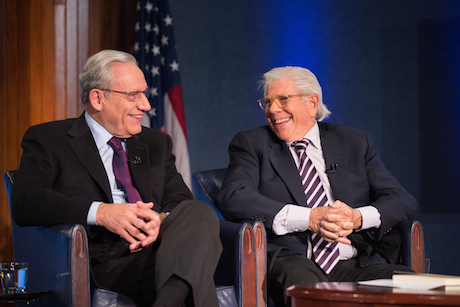 On this edition of The Kalb Report, Pulitzer Prize winning reporters Bob Woodward and Carl Bernstein join journalist/scholar Marvin Kalb to recount their coverage of the Watergate scandal and the groundbreaking reporting that ultimately resulted in the resignation of President Richard M. Nixon 40 years ago. One sentence, just 45 words in length, proclaims and promises the freedoms that define American democracy. The First Amendment to the U.S. Constitution guarantees the right to freedom of religion, freedom of speech, freedom of the press, freedom of assembly, and the right to petition one’s government. It is the duty of the justices of the Supreme Court of the United States to interpret the constitution and to rule on the legality of legislation. 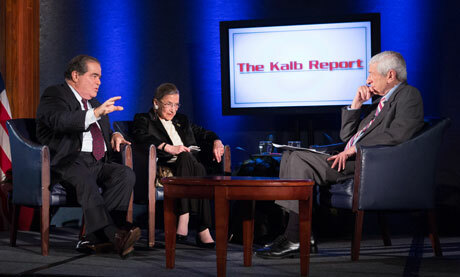 On this edition of The Kalb Report, Supreme Court Justices Antonin Scalia and Ruth Bader Ginsburg join journalist/scholar Marvin Kalb to offer their views of those 45 words in a rare glimpse behind the gavel and inside one of our nation’s vital branches of government. 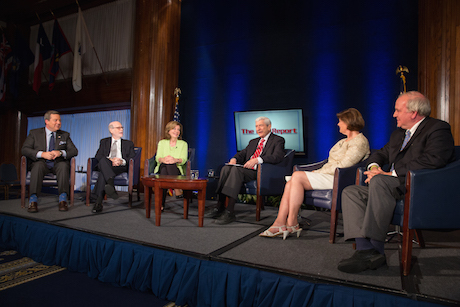 The Kalb Report, moderated by Marvin Kalb, is jointly produced by the National Press Club Journalism Institute, The George Washington University, Harvard University, University of Maryland University College (UMUC), the Philip Merrill College of Journalism at the University of Maryland, and Gaylord College of Journalism & Mass Communication at the University of Oklahoma. The series is underwritten by a grant from Ethics and Excellence in Journalism Foundation. Marvin Kalb is the Edward R. Murrow Professor Emeritus at Harvard’s Kennedy School of Government. He is also a senior advisor to The Pulitzer Center on Crisis Reporting.